A 50th birthday is a huge milestone and a great reason to celebrate and throw a huge party for friends and family. If you’re invited to a 50th birthday, it might seem a little overwhelming to choose a gift. How can you find something that shows your loved one how much you care, celebrates their life thus far, and conveys your best wishes for a long and happy future all at once? Don’t worry. While finding the perfect gift for a 50th birthday can be a challenge, it isn’t impossible. Take some time to browse through our 50th birthday gift guide. You’ll find 50 amazing birthday gifts that are perfect to give to anyone turning 50. You might find the perfect fit among these ideas, or you can use them as inspiration to find something that’s completely your own. If you want to gift a sweet treat, try our Best Birthday Ever gift set. It features chocolate dipped strawberries, white and semisweet chocolate dipped pineapple slices decorated to look just like cupcakes, and a variety of delicious fresh fruit. You can also add pineapple numbers that say 50 for a personalized touch. Our Pineapple Drip Cakes™ & Berries are a perfect option for the birthday girl or guy in your life. Our new Pineapple Drip Cakes™ are made with fresh pineapple dipped in gourmet chocolate and decorated with colorful glaze and sprinkles. They’re even topped with real candles you can light! 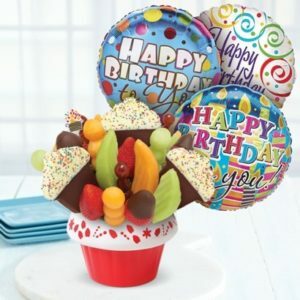 The set also comes with fresh strawberries, hand-dipped in gourmet chocolate and topped with delectable white chocolate Happy Birthday sentiments. It’s an irresistible flavor combination. 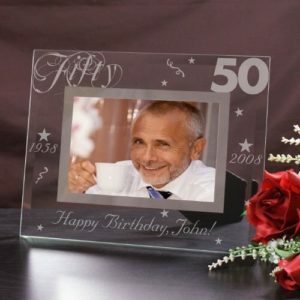 This gorgeous glass picture frame helps you celebrate the momentous occasion and is sure to become a treasured keepsake for years to come. The frame can be personalized with name, birth year, and any one-line custom message. 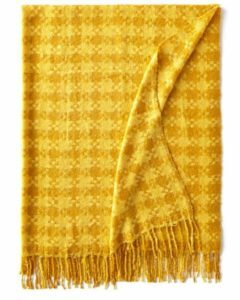 If you’re looking for a comfy, cozy gift, look no further than this fabulous throw blanket. It comes in three colors (yellow, pink/red, and black/white) and looks just as good as it feels to snuggle up beneath it. The Echo is a must-have for any tech lover. The Echo connects with Alexa to play music, make calls, ask questions, control smart home devices, and more – all hands-free and voice-activated. This shoe care kit includes everything you need to keep your shoes shining including black and neutral shoe cremes, horsehair brushes, and a shoe sponge. It’s the perfect gift for anyone who takes pride in their put-together appearance. These sunglasses are a modern take on a more classic silhouette. Their cool, sophisticated style complements most face shapes and their polarized, scratch-free lenses provide 100% UV protection. If you’re looking for a refined and distinguished gift, this set of cufflinks, money clip, and tie clip is just the ticket. You can engrave the box and all three items with a name or initials. This traditional wicker picnic basket includes everything needed for a delicious meal out, minus the food and drinks. It features an insulated section to keep food and drinks cold, along with holders for the included dinnerware for four. Perfect for a coffee lover, this French press is quick and easy to use and always results in the perfect cup of coffee. The iconic design of the Bodum Chambord dates the 1950s. This Alex and Ani bracelet is beautiful and has a touching message. 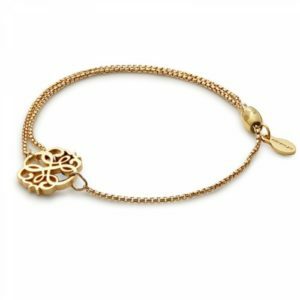 The Path of Life charm symbolizes the wearer’s own willingness to travel towards life’s fruitful moments. The MVMT classic watch is the epitome of class and style. Its minimalistic design goes with multiple fashion choices and matches both casual and formal dress. This impressive leather portfolio can be engraved to include any full name on the bottom right-hand corner. It includes a paper pad, flap pockets to organize documents, a convenient business card pocket, and an extra storage pocket. The Fitbit Alta is a slim and trim activity tracker with OLED display. It tracks steps, distance, calories burned, hourly activity, and sleep quality. 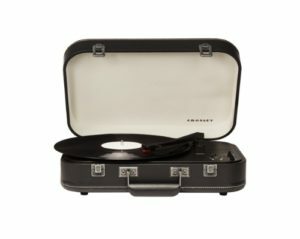 Perfect for music buffs and vinyl record enthusiasts, this record player plays 7-inch, 10-inch, and 12-inch records. It includes a belt-driven turntable mechanism, adjustable volume control, adjustable pitch control, and a diamond stylus needle. Another option for music lovers, these JBL wireless headphones are lightweight and compact. They feature a pair of 32mm drivers to deliver some serious bass. A single charge lasts for 11 hours of music. This elegant pen comes in a beautiful rosewood box, and both the box and pen can be engraved. The pen has a textured, diamond-cut handle and has a balanced feel for smooth, clean writing. The Cuisinart fondue set has a heating element built into the base of the pot and can be adjusted to a wide range of temperature settings. You can prepare chocolate, cheese, or broth fondue, making it perfect for entertaining. Perfect for grill masters and newbie grillers alike, the Grill Daddy Grand features a luxurious all-aluminum alloy body with stainless steel bristles. It cleans easily with steam – no chemicals – and effortlessly removes charred food and baked-on grease. The Slip Silk sleep mask is great for anyone who loves their beauty sleep. It’s made with the highest-grade long fiber mulberry silk with a pure silk filler and internal liner. Perfect for coffee lovers, the Asobu® Cold Brew features an innovative cold brewing method. Cold brew coffee has a sweeter taste, less acidity, no bitterness, and a smooth feel as compared to regular coffee. Looking for a cozy gift that your loved one won’t be able to resist? This LL Bean fur throw is luxuriously soft and warm. It feels and looks just like wolf-fur, but is 100% cruelty free. The Roku Streaming Stick is a must have for TV lovers. It features vivid 4K, HDR, and HD picture for exceptional wireless performance all throughout the home. This unique birthday necklace is made with five interlocking rings, one representing each decade of your loved one’s life. You can also choose a personalized note to include in the box. Does the birthday guy or gal love to cook? Choose this kitchen tool set with everything you need in the kitchen, including 2-inch tongs, grater, peeler, spatula, slotted spoon, ice cream scoop, potato masher, grater, and more. For the game lover in your life, there’s nothing better than this 6-in-1 game set. It includes classics like chess, checkers, backgammon, cribbage, dominoes, playing cards, and wood dice cups. This charming olive crate features a potted arbequina olive tree that’s hardy and easy-to-grow. It also includes a bottle of olive oil, along with olive and avocado hand cream, and goat’s milk soap. The Bellroy Note Sleeve has room for all of your essentials, including cash, coins, and up to eleven cards. It features a slim profile, perfect for slipping in a back pocket. Some colors are available with RFID protection for $94.95. If your loved one is an avid gardener, look no further than this gardening tool set. It features a 10.5-inch long trowel, 8-inch long shears, and a 9.5-inch long cultivator, all covered in a beautiful morning glory pattern. Does the birthday gal or guy in your life love golfing? 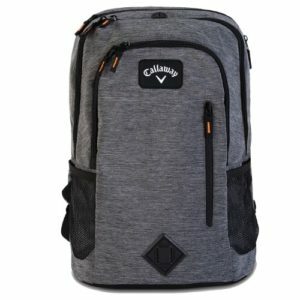 The Callaway Clubhouse Backpack has room for all of their golfing essentials. These Minnetonka slippers are like a little piece of heaven when you slip in your tired soles. They’re lined with genuine sheepskin and over the collar fur to provide the ultimate warmth and comfort. If your loved one likes to write down their thoughts, this attractive leather journal is the ticket. It features lightly distressed leather with top stitching, includes 130 lined pages, and can be monogrammed on request. For globetrotters and homebodies alike, this beautiful National Geographic globe makes a statement. It features a unique antiqued diecast meridian and base and more than 4,000 named locations on a newly-updated cartography. 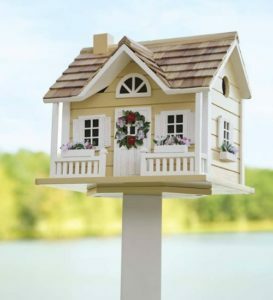 For the bird-watcher turning 50, gift this sweet and adorable birdhouse. It is made with wood and resin, and features loveable details such as a shingled roof, flower window boxes, and a welcoming wreath. The Smart Garden is the perfect way to grow plants indoors. It takes care of your plants by giving them water, oxygen, and nutrients. Special LED grow lights give them the energy they need to thrive. Every family has secret recipes that they pass down through the generations. This family cookbook provides templates for writing down the ingredients and cooking instructions, with space for over 80 recipes. Is your loved one a crocheting or knitting enthusiast? This beautiful bowl, handcrafted from Sheesham wood by artisans in India, is a beautiful way for them keep their yarn untangled. This picture frame lets your loved one create a stunning display of their family tree with their entire family’s individual photos. You can even engrave a special message on the front of the tree. These nifty tiles let you keep track of your keys, wallet, purse, and cellphone. Just open the app. The tile will ring it if it’s nearby, or you can check the map for its last known location. The best deal is a pack of 8 for $75.00, but you can also buy a 4-pack for $40.00 or a single tile for $20.00. A Himalayan salt plate is essential for cooking enthusiasts. It adds healthy minerals to food, improves heat distribution while cooking, and provides an anti-microbial cooking surface. This serving tray is a must-have for anyone who entertains. It is beautifully crafted with wood and two black matte handles. Plus, it can be personalized in a variety of different ways. The Book of Everyone gives a truly personalized nostalgic look back for your loved one. They’ll discover the hit single and the blockbuster movie, along with personalized facts, and strange statistics from the year they were born. Does your loved one cherish their golf game? Titleist balls provide longer distance with lower long game spin and even more consistent flight, along with long-lasting durability. The Dalvey Classic Compass features a modern stainless-steel case with push-button release. It can be personalized to include a custom engraved inscription on the back cover. Ralph Lauren is a timeless scent that includes the essence of velvety woods, extravagant florals, and seductive musk. It’s sure to be a favorite gift of anyone who loves a subtle floral fragrance. The 3.4 oz. bottle shown is $94.00, but you can buy a smaller 1.7 oz. bottle for $74.00. Cost: $74.00 for 1.7 oz. The Instant Pot is an essential for anyone who needs dinner on the table quickly. The 6-in-1 version includes a cake and egg setting and also functions as a pressure cooker, slow cooker, rice cooker, sauté, Steamer, and warmer. If your loved one devours books, choose this all-new Kindle E-reader that is thinner and lighter. It reads just like paper, making it easy on the eyes. It also eliminates sun glare for frustration-free outdoor reading. This unisex waffle robe is a perfect choice for anyone who loves to relax and unwind. Made from organic cotton with a unique waffle weave, it’s pre-tumbled for the ultimate softness. This diffuser is perfect for anyone who wants to add an understated and sleek fragrance to the home. It includes notes of peppery basil and aromatic white thyme with limes and a hint of a warm Caribbean breeze. 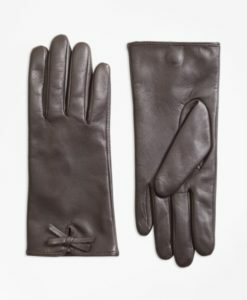 These supple and soft gloves are the perfect choice for any birthday girl who loves a little bit of ladylike flair. They include a pristine bow at the wrist for the perfect amount of genteel polish. No matter who is turning 50 in your life, any of these gifts are sure to make their birthday special.